New! The Head Hand & Heart Family Tree. It is simple and beautiful and sure to be a gift that is treasured for years to come. Each person's portrait is shown as well as their name and wedding or birth date. This lovely family tree has been a gift for Grandparents, for a Mother and Father on the bride's wedding day and for families spread across the world. 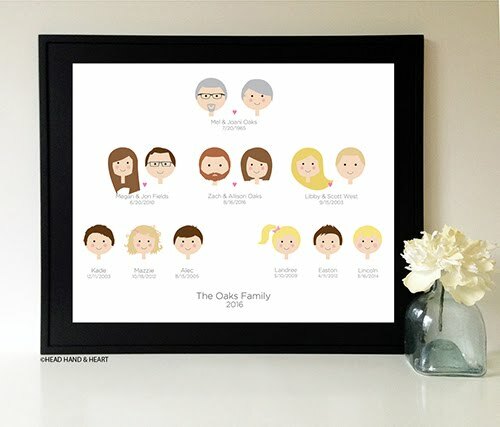 Let your children see how your family is connected with this fun and lovely portrait.